the ears of a fox. ...For three hundred years the Mírdain - as the Jewel-smiths of Eregion were known - studied at Annatar's side, and learned the making of magical rings. In about the year II 1500, the first of the Rings of Power was forged. Middle-earth Politics as detailed in THE FELLOWSHIP OF THE RING prologue is largely based on knowledge of the ancient craft that enables infusion of objects with mysterious forces. Celebrimbor worked alone until S.A. 1590 creating the three greatest rings: Narya, Nenya, and Vilya [Fire, Water, and Air]. Soon after, Sauron forged the Master Ring in the fires of Orodruin and tried to regain the other rings and establish himself as supreme ruler of Middle-earth. Sauron recovered sixteen lesser rings but not the three Great Rings – they would elude him. J. R. R. Tolkien deftly manages a secure link between the early characters of Middle-earth and the legendary Cabiri [mysteries of Samothrace renown among ancients, next to the Eleusinian in public esteem] who forged metal at the base of the mountain. 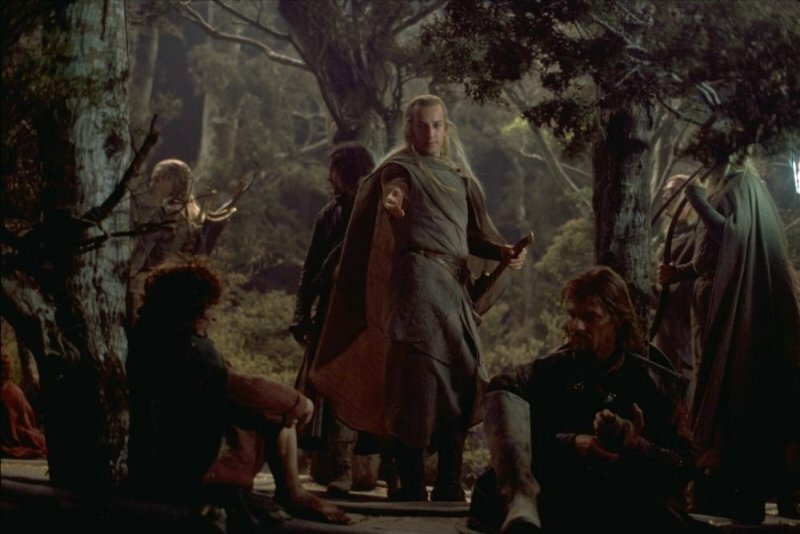 Tolkien alludes to the rites of the Cabiri many times through the rings, theme of Elendil, and shards of Narsil reforged as Anduril, the flame of the west. Through the language of the ancients, secrets of the upper furnace and lower furnace, and metallurgy, the war to reunite the kingdom is brought to completion. 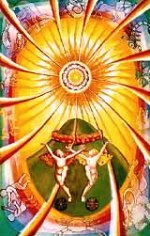 The ancient knowledge recorded by pre-Roman Buddhists, who believed immortality could be achieved during a single incarnation, is also represented as a parallel, though sometimes aesthetic, system. The Argonath, great stone Pillars of the Kings, were carved in the likenesses of Isildur and Anarion and guard the Northern entrance to Gondor. They reside on either side of the Great River Anduin, silver waterway that parallels the celestial River of Life. Isildur and Anarion are Aragorn's ancestors and suggest a direct link with the Argonauts, and all Cabiri initiates, on their quest for the Golden Fleece. 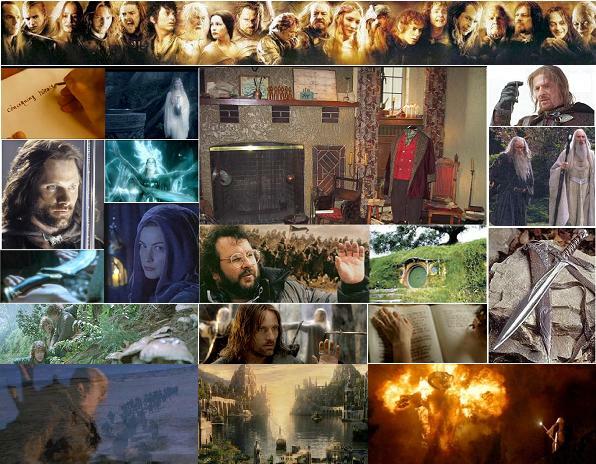 Peter Jackson brilliantly transports elite ancient knowledge to the screen in step with all Tolkien tenants. The results have tallied multiple Academy Awards, with many additional nominations and stellar wins. The Galadhrim were the people of Lothlórien. They were of Silvan origin, ruled in the later Third Age by Galadriel and Celeborn, neither of whom were Silvan Elves. Galadriel was of the Noldor, and Celeborn, at least according to the published Silmarillion, was of the Sindar. Galadriel's Glade, based on a circular design, was constructed within the heart of Lothlórien. The silver water contained in the Mirror of Galadriel was drawn from the waterfall flowing down the stone walls of the sanctuary. Waterfalls and fountains inspired all throughout the hidden refuge of Elrond Halfelven. Rivendell, the haven of Elrond, endured in a deep valley under the protection of Elrond's Ring Vilya. Imladris is the Elvish name for Elrond's home in the western glens of the Misty Mountains. Crystal clear natural and manually designed ponds, water gardens in full bloom, and trickling falls are associated with many beautiful environments cultivated by the elves who reside in Middle-earth. We can construct and engineer miniature versions of the elves' hidden aesthetic realms - Lothlórien, Rivendell, and sites along the Anduin. An elegent, hassle-free, pondless water fountain, known as a disappearing waterfall can be constructed easily. 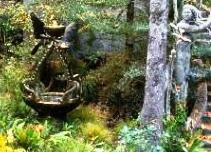 Water will flow into a receptacle cleverly hidden under the fountain, as in the pattern of Galadriel's Glade. of the Noldor in Aman during blissful Years of the Trees. in the realm of Lórien. upon the element of Water. were taken into the West. "These borders are well protected." armour of the Silvan sentinel is light, blended with surroundings, whatever they may be. Lorien cloaks were provided as gifts to the Fellowship to conceal them on the journey. near northern entrance to Gondor. Even the deadly Nazgûl cannot prevent Strider and the Hobbits from joining the Council of Elrond in Rivendell. Later [ROTK], Elrond and Aragorn turn the tables on the Black Riders. ELROND: Andúril, Flame of the West, forged from the Shards of Narsil. * Mir * Om Shanti * May Peace Prevail on Earth! 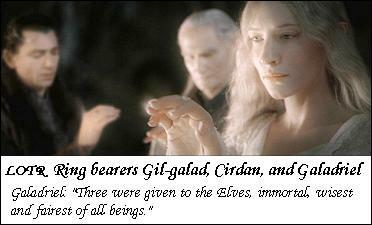 Elrond, Celeborn, Galadriel: "The power of the Three Rings is ended."